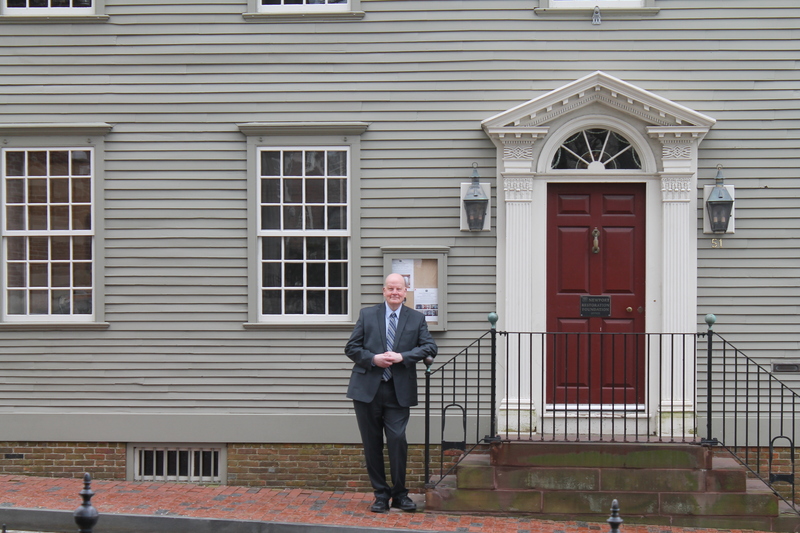 NEWPORT, RI – The Newport Restoration Foundation has selected Mark Thompson to serve as the organization’s next Executive Director, following a competitive search. Thompson comes to Newport from St. Leonard, Maryland where he served as Executive Director of Jefferson Patterson Park & Museum. He will assume this new role on February 5, 2018. “Mark Thompson epitomizes the personal and professional qualities NRF believes we deserve in a leader, and he will bring our programs to new levels of local and national service,” said NRF Board Chair Roger Mandle. In his role at the Jefferson Patterson Park & Museum, Thompson led a museum of history and archaeology where he managed a 560 acre site with a staff of 30 people, 40 buildings, and more than eight million artifacts. 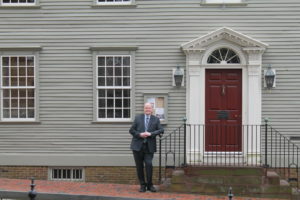 Previously Thompson served as Maine Maritime Museum’s Regional Director for Southern Maine and Executive Director of the Portland (Maine) Harbor Museum. Thompson earned a Master’s degree in History as well as a Certificate in Museum Studies from the University of Delaware. In addition to being an accomplished nonprofit leader, Thompson earned a JD from American University and practiced law before entering the museum field. Mandle said Thompson will execute the Foundation’s new strategic plan and oversee a major new initiative at Whitehorne. The Foundation’s “Keeping History Above Water” program, a nationally recognized effort to protect historic properties/landmarks from the effects of climate change will also be among Thompson’s top priorities, Mandle added.